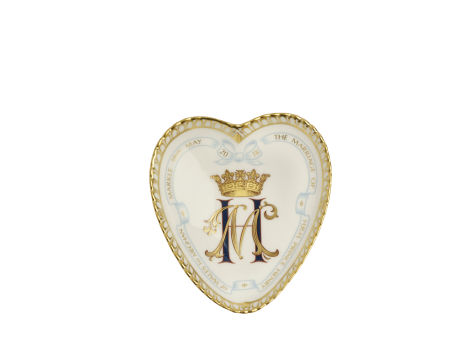 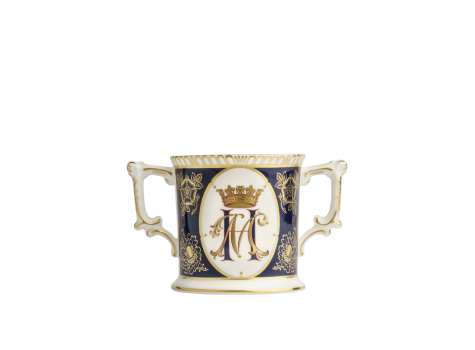 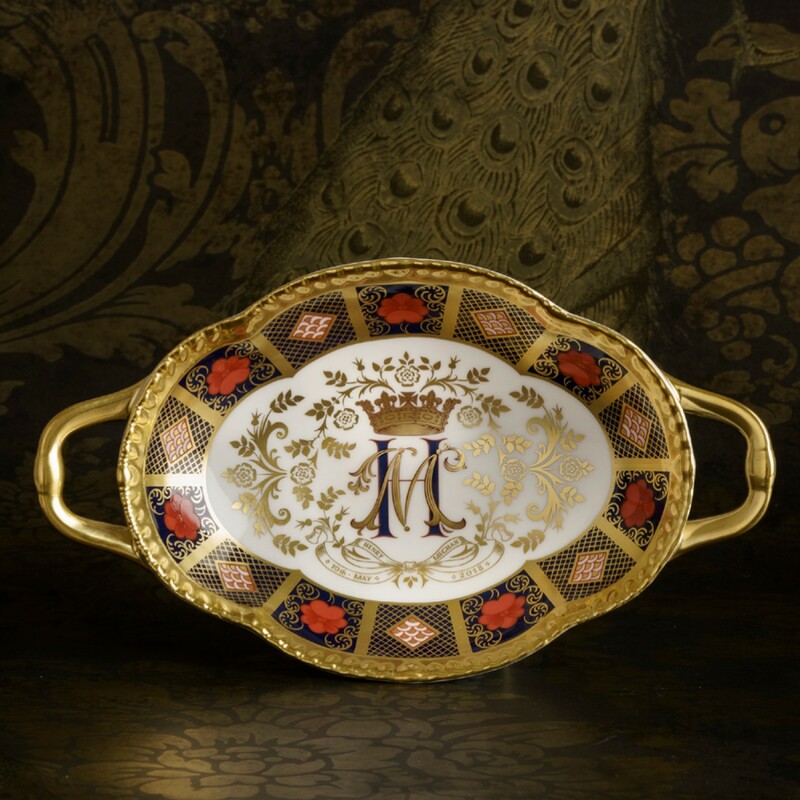 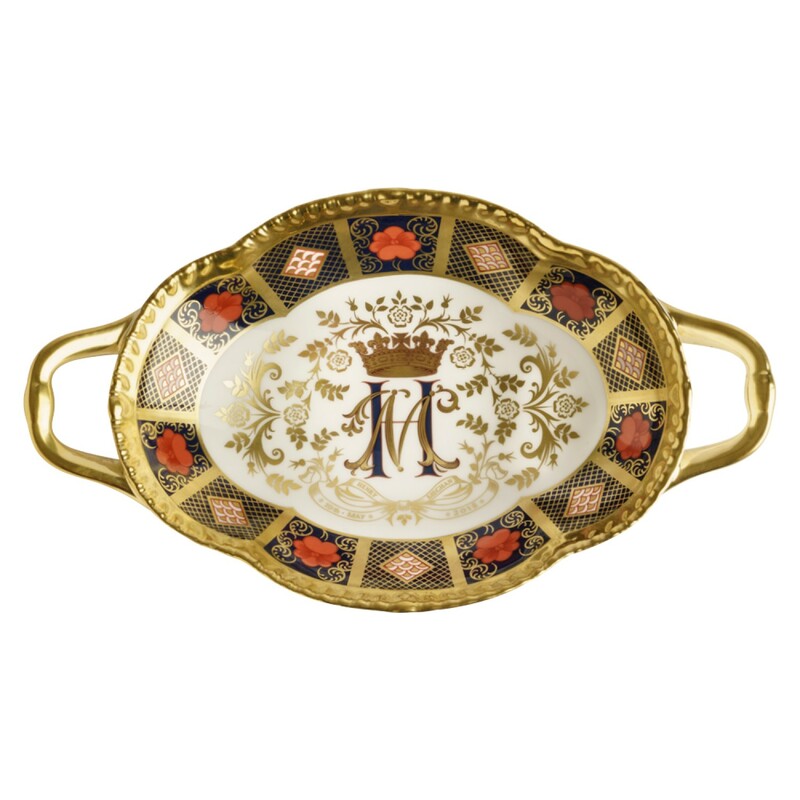 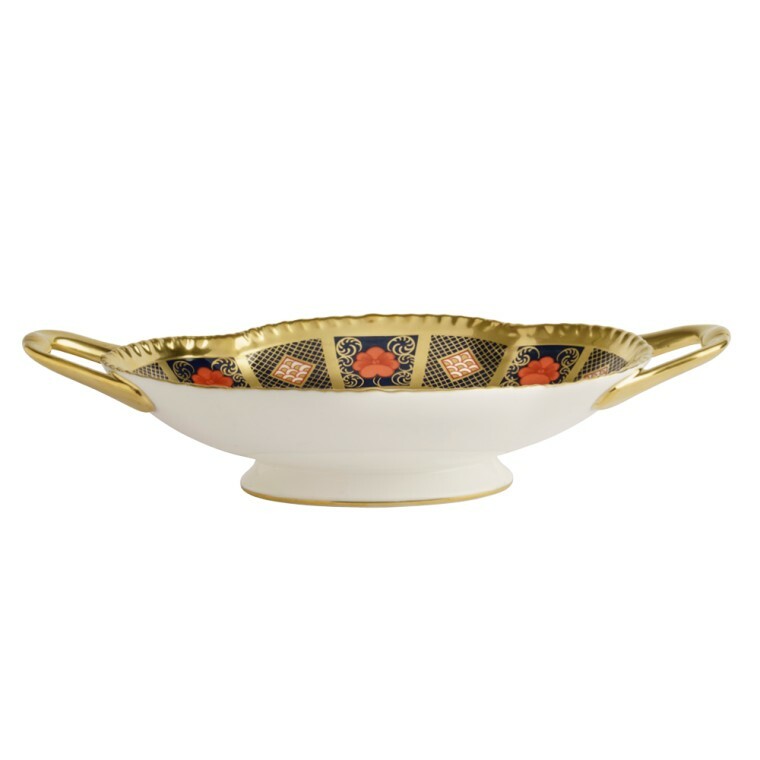 Adorned in the classic Royal Crown Derby pattern, the 2018 Royal Wedding Commemorative Limited Edition Old Imari Solid Gold Band Melbourne Tray, is a perfect giftware accompaniment to celebrate the Royal occasion of the marriage of H.R.H Prince Henry of Wales to Rachel Meghan Markle on 19th May 2018. 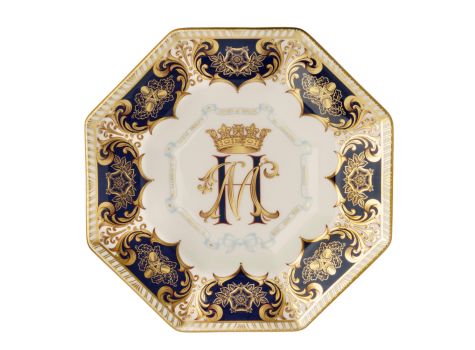 The archival Old Imari Solid Gold Band design creates a perfect border for the ornate centrepiece, depicting the couple's initials intertwined with the initial 'H' in rich cobalt blue and the 'M' overlaid in 22 carat gold together with a coronet placed above. 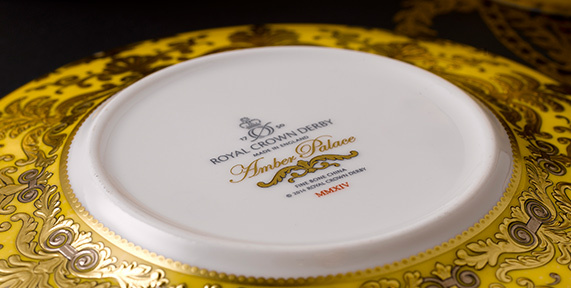 Elements of the intricate pattern used on the Royal Wedding Plate surrounds the central motif, featuring Tudor roses representing the Royal badge of England as well as signifying the national flower of England with an illustrative ribbon proudly displaying the couple's names and the date of their marriage, all designed by hand in 22-carat gold making this fine bone china piece a perfect celebratory piece.